Flu season is upon us… hope everyone takes care and don’t get sick. I don’t tend to get sick much in terms of full-blown flu but I get a lot of sore throats and the occasional cold. Getting enough fluids is important. Here’s a simple home remedy using just lemon, honey, and ginger which all have sinus-clearing, anti-inflammatory properties that boost your immune system. It’s so useful even as a preventive measure. 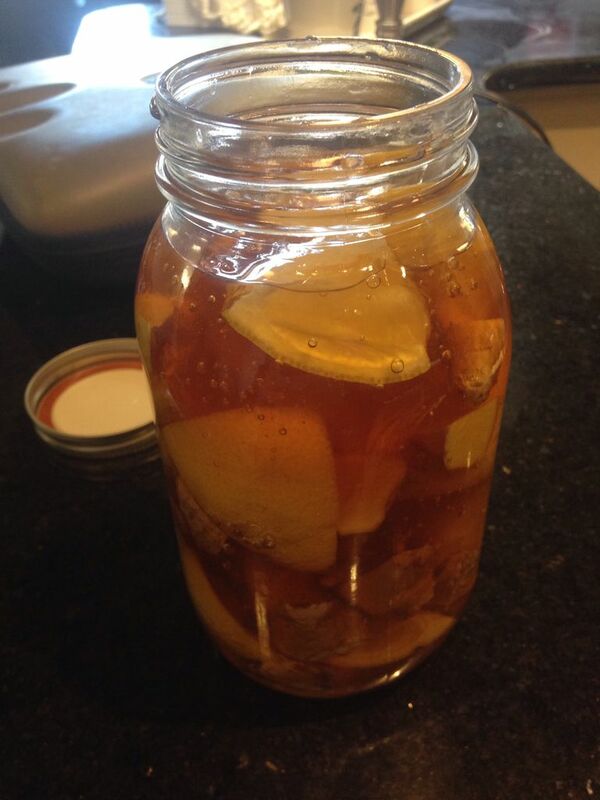 Simply fill a mason jar with lemon and ginger slices and add honey. Keep this in the fridge overnight to form a ‘jelly’. When you are ready to have your drink, just spoon a tablespoon of it into your mug and pour hot water or tea over it. You can even make hot rum toddies with this if that’s your thing. Enjoy it any way you like! Any go to thing you guys use for colds? Please let me know in the comments. that’s really cool that its form is like jelly, i think id def do this with just hot water! I will let some of my family and friends know about this for when they have colds or sore throats! So today I had a beer cocktail where one component was clearly something like this, but with tangerines. Well, it will boost the immune system while the beer helps kill germs so it counts as healthy right?